Head to ancient Egypt and play Sands of Fortune slots! Play the eerie Bonus game and navigate and underground tomb to Win incredible Cash Prizes & Multipliers! 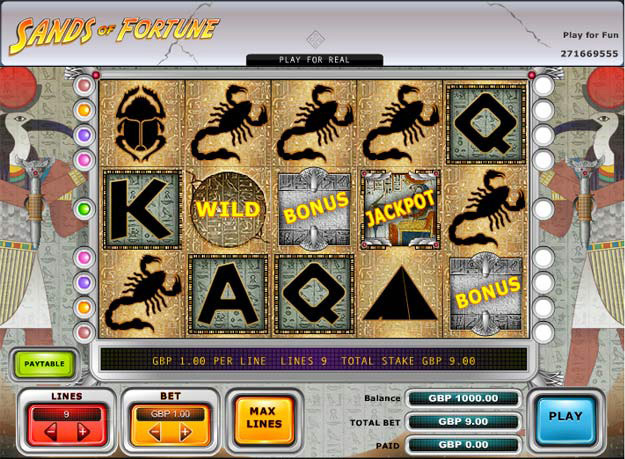 Play Sands of Fortune slots and enter an ancient world filled with incredible winning opportunities! The reels are adorned with ancient Egyptian symbols such as scorpions, pyramids, scarab beetles and the all-seeing – Eye of Ra. There are several special symbols in the game that can help you win top prizes! 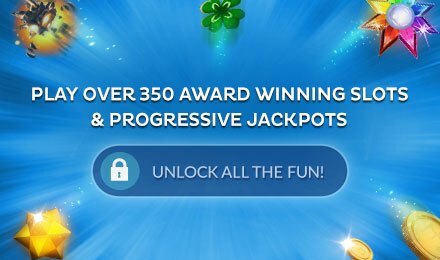 5 Jackpot symbols in the right combination help you win an amazing 25,000 times your bet! There is a Wild symbol that can replace other symbols and increase your chance at landing winning lines. And The Bonus Symbol can trigger the Bonus game which transports you to an eerie underground crypt with loads of hidden cash prizes and multipliers!